We ended our Lisbon trip as we started it… on a food tour! We don’t usually do more than one in a certain place, but we underestimated the Secret Food Tour in terms of its wine offering so booked this as well. 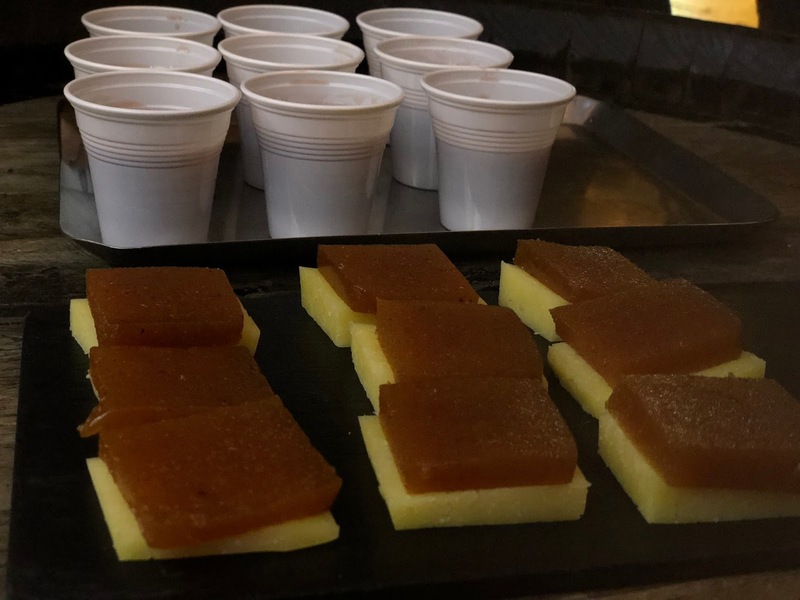 But of course, we soon learnt that the Portuguese seem to drink it like water, but no complaints from us – we had two fantastic evenings out if it! 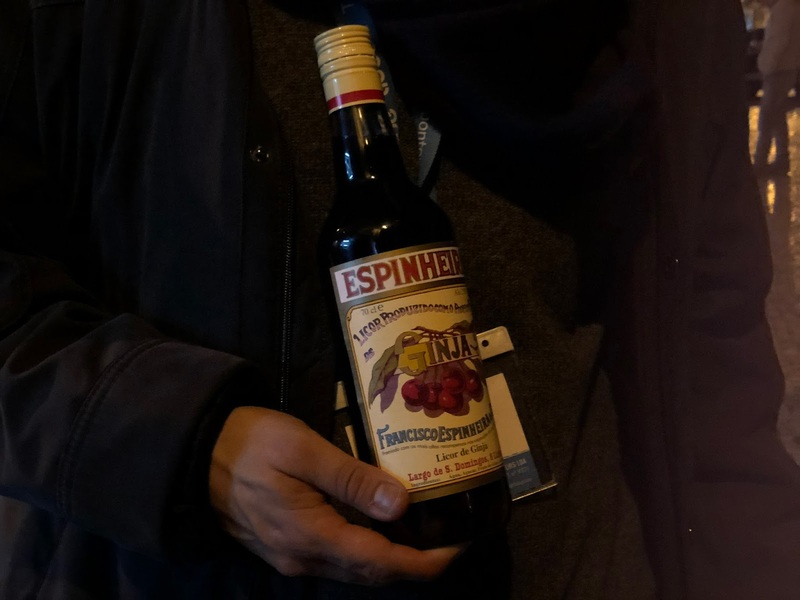 It was intriguing to compare the two tours and we actually revisited two of the stops from a few days earlier, but as we tried different delicacies, we were very happy and we were knew we were in for some fantastic food and drink. Starting at Rossio Square, our first stop was Cafe Beira Gare, which translated into English means “by the train.” As you may guess, it was located next to the station that goes to nearby Sintra, which we were gutted we didn’t have time to visit during our time in Lisbon. 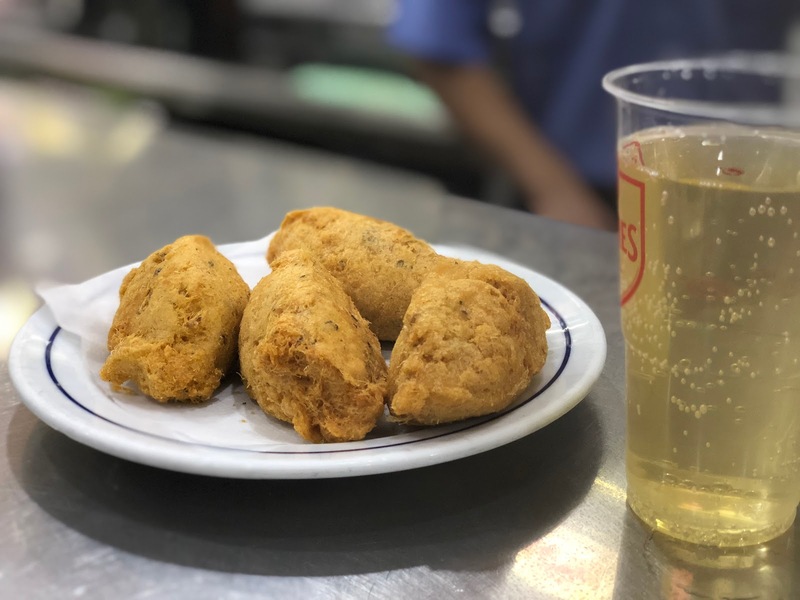 Here we tried cod fish cake bites which are normally enjoyed like this as a snack, or part of a main meal including rice. The green wine which was on draught… yes draught ladies and gentlemen, was superbly refreshing. Walking up towards Castelo de Sao George and taking a few public passenger lifts to avoid the hills, we arrived at our second destination, Espumantaria do Petisco. We yet again enjoyed some sparkling green wine but it was strangely a fact about the glasses we drank it from which was more memorable – they were shaped and moulded to the size of Marie Antoinette’s breasts… weird. Interesting fact for all you Japanese food lovers… tempura was the Portuguese’s first! 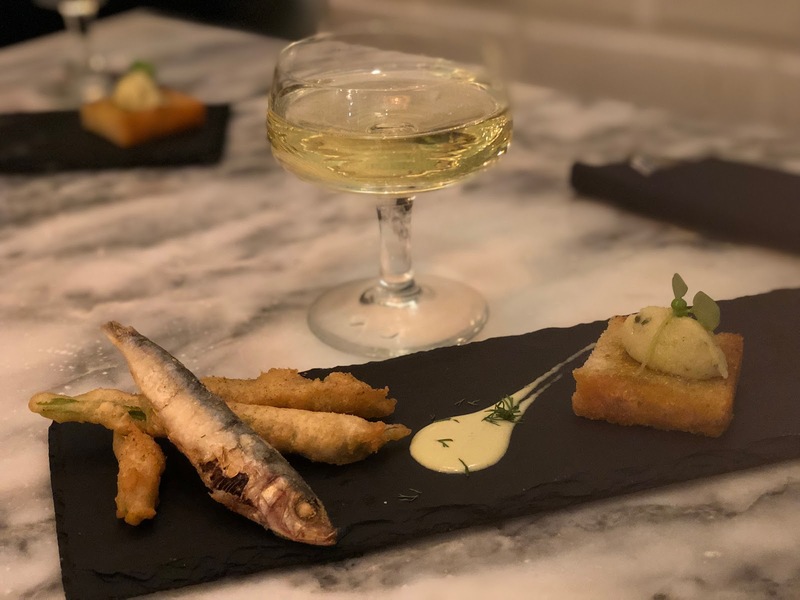 They won’t let you forget that here in Lisbon, so some tempura green beans, wasabi sauce, sardines and toast topped with codfish was an all round delight. Following a walk back into the city centre we stopped at Manteigaria Silva, a charcuterie where we drank Porto Wine from the Douro Valley, and a marmalade and cheese combination which at first sounds like a bit of a mismatch. That is certainly acknowledged in its name of Romeo and Juliet – the blend of flavours is not meant to work but it just does! Thank goodness the food we had been eating earlier in the day and on the tour kept us from feeling it too much, but at the point of taking shots of Ginjinha, the group started to become a bit more lively and vocal! The highlight of any food tour we’ve been on is always meeting the people in the group and the guide. This time we were joined by people from USA, Singapore, and a fellow Londoner. Exchanging business cards and chatting about travel stories and ambitions is always so intriguing. It’s so easy but simply talking to people from different backgrounds and from the place you are visiting is one of the most spiritually enhancing things you can do whilst out travelling. Going on tours like this give you the push to take that opportunity and you’ll undoubtedly make friends along the way. 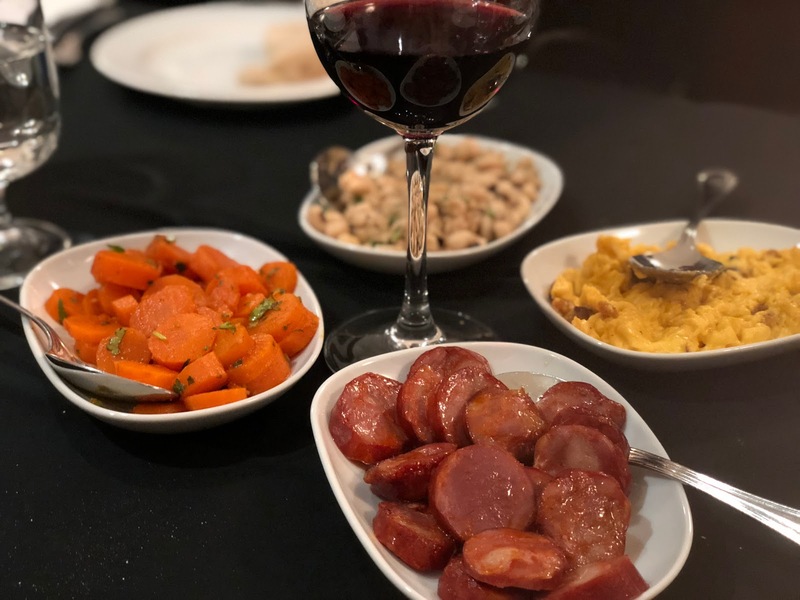 Our final stop took us back indoors at Chamines do Palacio where we rounded proceedings off with a selection of tapas style meats and vegetables, and any last drops of wine we could bare to take. Overall we had a fantastic time on the Inside Lisbon tour and would fully recommend it to anyone looking to get a real insider’s view on the best food that the city has to offer. Our guide was extremely helpful in not only making sure we ate and drank the best, but finding out more about Lisbon and the best ways to spend our last day in the city. A massive thank you to Inside Lisbon for having us along! Disclaimer: we were given discounted price to the Inside Lisbon Food & Wine Tour in exchange for an honest review. I think I need to add Portugal to my Travel wish list. A food & wine tour sounds amazing tbh and I loved the meaning behind the cheese and beef comparing it to Romeo and Juliet.